How to build and configure a MuVIT simulator. This section is a work in progress and will continue to grow, so if there is something you need help with look here first then ask it may be in progress. This is a collection of custom missions and other items created by users of the simulator. 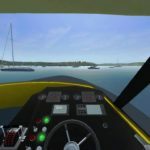 Originally built as a tool to enhance Tampa Power Squadrons boating safety courses, the multi-vessel interactive trainer or MuVIT was developed as a low-cost and easily transported boating skills trainer. 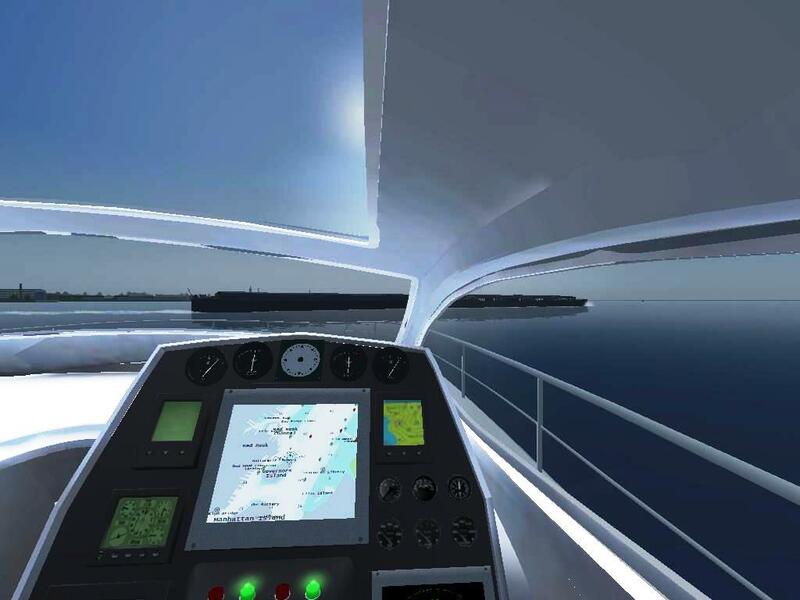 As currently implemented, Tampa’s MuVIT platform provides a full featured simulated boating experience while maintaining a modest cost. The video screen is typically the largest component. The wheel and control panel/throttles can be packed into one small rolling case. The CPU is a commodity laptop. MuVIT fits very comfortably in the rear seat of a compact car. The MuVIT platform comes with 70 installed scenarios. These missions are predefined as to the activity to be performed and the criteria for success. Having larger vessels available allows for the creation of scenarios which require interaction with large commercial vessels. The Port of Tampa is a major port in the Gulf of Mexico thus the addition of commercial traffic aids in learning how to handle such situations. 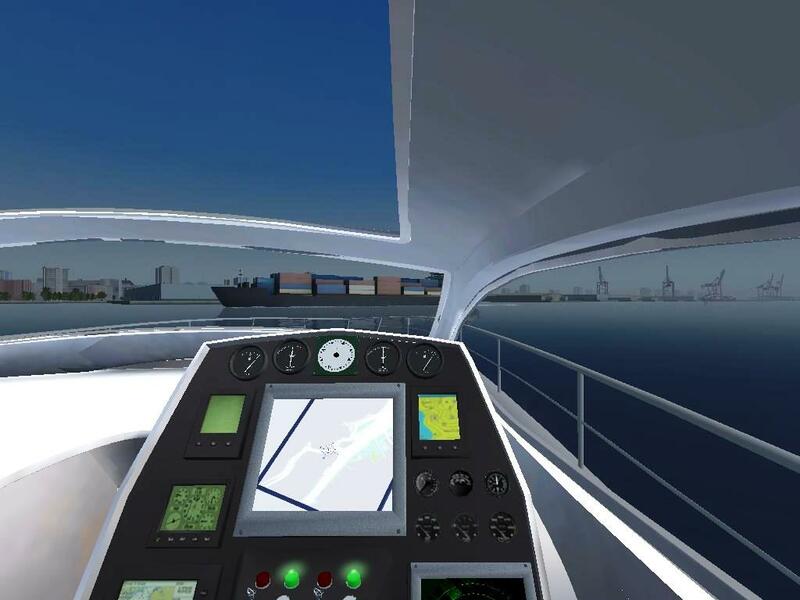 In Free Roam mode the instructor would select the locale, vessel type and the operating environment. The current platform supports 24 vessels from a jetski to a supertanker. These can operate in 14 locations in varying weather conditions from calm to stormy. Also adjustable is time of day and season allowing for any lighting situation. For instruction we have found it advantageous to stay in the US venues of New York Harbor and San Francisco Harbor. These two locations allow for the instructor to download the actual NOAA chart booklets (numbers 12334 and 18649, respectively) which compare well with the MuVIT software’s internal charts. 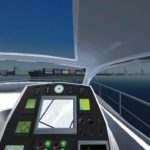 It is the ability to use actual locations with corresponding charts that makes the interactive training environment more real to the student and enables the simulator to be used in the advanced grade classes of Seamanship, Piloting and Advanced Piloting. The instrumentation bar (which contains such information as COG, SOG, heading and depth), the ability to perform dead reckoning navigation can become a more realistic part of the classroom exercise. Because any weather condition, such as wind and time of day, rain and waves can be configured, the possible become almost unlimited. One of the most useful functions available in the MuVIT platform is the ability to build custom scenarios. In order to use this function, a separate program called the Mission Editor is included. Using the Mission Editor, you can set the same criteria as in the Free Roam mode with additional capabilities such as waypoints, weather that changes as the scenario progresses, autonomous vessels, and criteria for success. 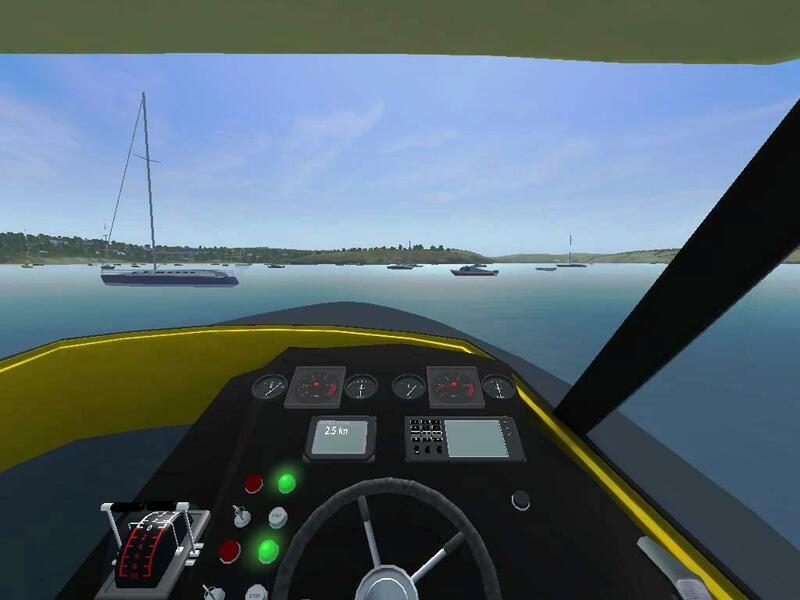 With a bit of practice, instructors can easily develop docking exercises, vessel priority exercises with meeting, overtaking and crossing scenarios as well as dealing with commercial traffic. 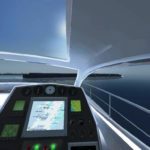 One useful feature of the Mission Editor is the ability to choose how many and the types of vessels that will interact with the training vessel. Instructors also define the specific routes that these vessels follow thus allowing for the creation of sophisticated exercises. Another feature of the Mission Editor is the ability to define waypoints. This allows MuVIT to be used for enhancing both Piloting and Advanced Piloting courses. When waypoints are defined, they can be used for conventional navigation or to trigger a number of events such as weather changes or instructions to the next waypoint. MuVIT, with its many tools and features, provides for a robust collection of scenarios and environments which will be useful for enhancing the classroom experience.